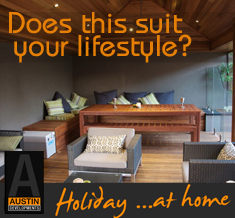 Austin Developments – An idyllic holiday retreat might be much closer than you think. They say that a change is as good as a holiday, which is why transforming your backyard into a tropical paradise might be all you need to feel refreshed and re-energised. Operating under the slogan “holiday at home”, Austin Developments makes coming home to a resort-style backyard at the end of a long day a perfectly attainable reality. And that’s good news for those of us stuck in the nine-to-five rat race. 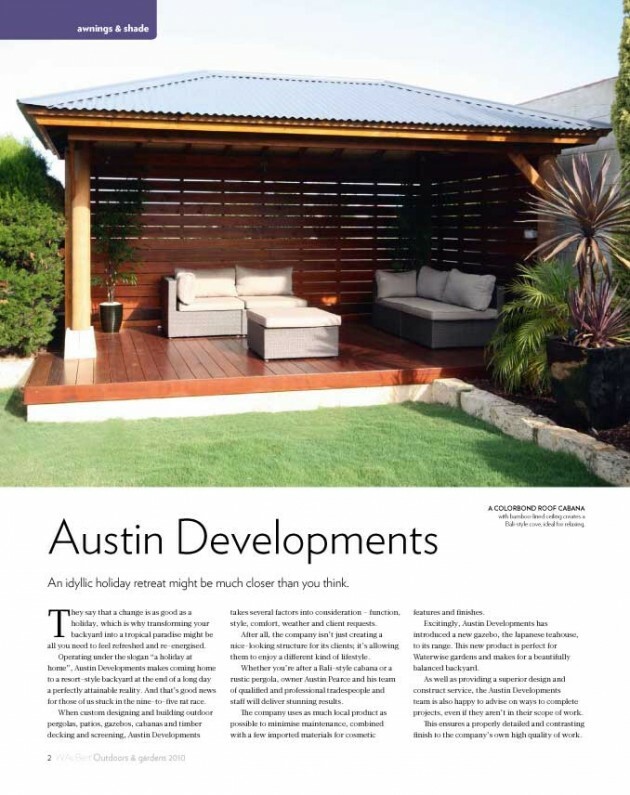 When custom designing and building outdoor pergolas, patios, gazebos, cabanas and timber decking and screening, Austin Developments takes several factors into consideration; function, style, comfort, weather and client requests. After all, the company isn’t just creating a nice-looking structure for its clients; it’s allowing them to enjoy a different kind of lifestyle. 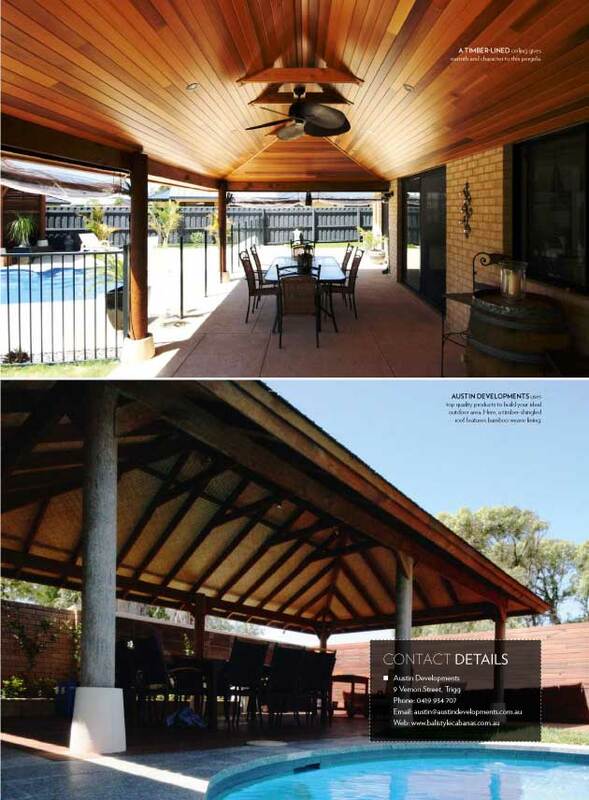 Whether you’re after a Bali-style cabana or a rustic pergola, owner Austin Pearce and his team of qualified and professional tradespeople and staff will deliver stunning results. The company uses as much local product as possible to minimise maintenance, combined with a few imported materials for cosmetic features and finishes. Excitingly, Austin Developments has introduced a new gazebo, the Japanese teahouse, to its range. This new product is perfect for Waterwise gardens and makes for a beautifully balanced backyard. As well as providing a superior design and construct service, the Austin Developments team is also happy to advise on ways to complete projects, even if they aren’t in their scope of work. This ensures a properly detailed and contrasting finish to the company’s own high quality of work.